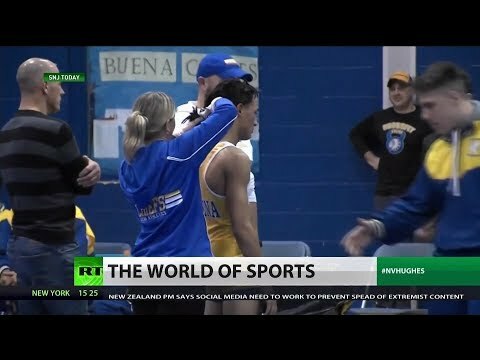 High school referee Alan Maloney is preparing to file a lawsuit alleging that he did nothing wrong in the incident involving wrestler Andrew Johnson where the 16-year-old was forced to cut his dreadlocks. Maloney is claiming damages of $100,000, citing loss of income and suffered ‘emotional distress’ from being barred by the New Jersey State Interscholastic Athletic Association. In cycling, Stage 1 of the Cape Epic mountain bike race kicked off in South Africa with the Swiss team of Nino Schurter and Lars Forster taking top spot with a lead of 20 seconds. RT America’s Steve Christakos joins Scottie Nell Hughes to discuss.